Feiwel & Friends, 9781250058898, 40pp. Chana Stiefel is the author of more than 20 non-fiction books for kids about exploding volcanoes, stinky castles, and other fun stuff. 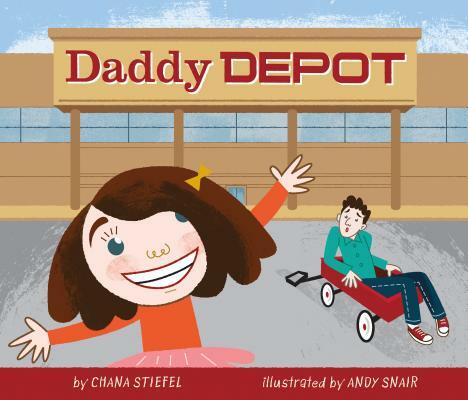 DADDY DEPOT is her debut picture book. While she would never return her father—or her husband—to the daddy store (she likes their jokes too much), she worries that her kids will return her to the Mommy Market. Andy Snair is a designer and illustrator whose artwork for Raisin and Grape by Tom Amico and James Proimos was praised as "cheeky" by Booklist. He lives with his family in Baltimore, MD.